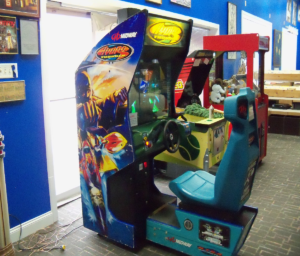 Midway’s exciting sit-down arcade game from 1999 where the player takes control of a jet-powered speed boat through many exciting courses. 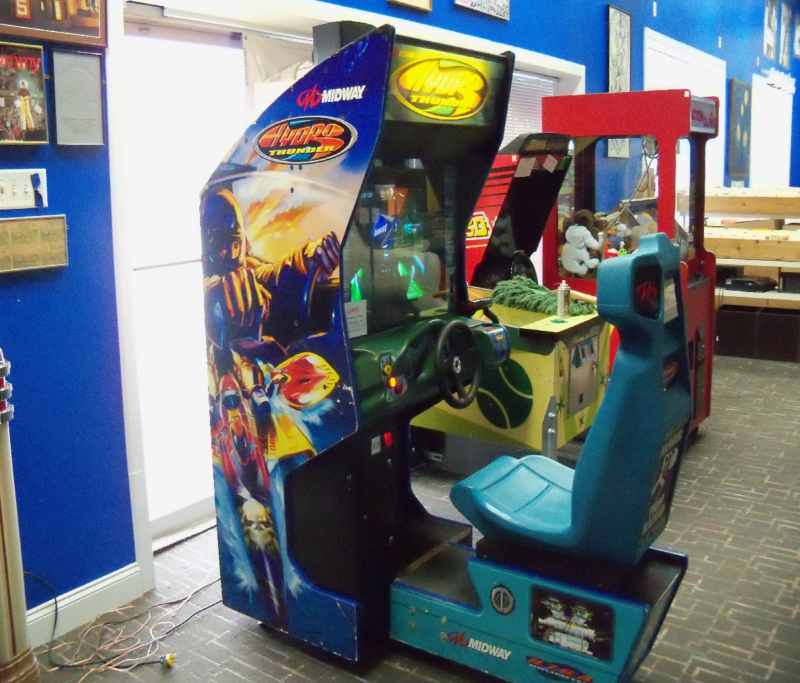 Instead of driving a car this creative arcade game has you steering a boat. Instead of a gas pedal there a throttle controlled by your right hand. The subwoofer and speakers in the seat creates an incredibly realistic experience for the player. Condition is good. 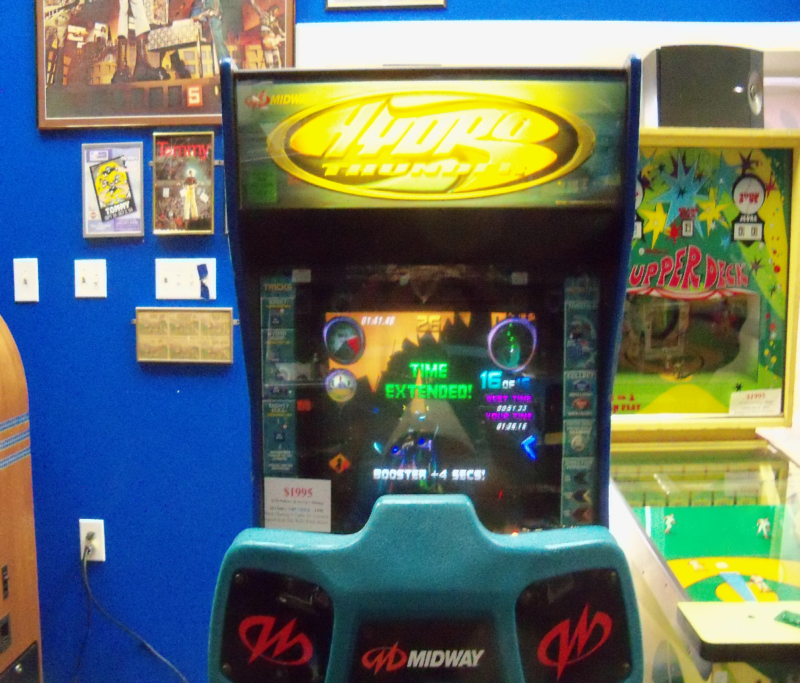 The cabinet is solid, the vinyl has some missing patches where it was picked at and a few nicks and scratches. Game plays great. CRT monitor is solid and bright.